Linux is the most used Operating System for servers and the feature that is most fascinating is Command Line. Command Line is a program that is used to run commands and system interpret these commands. 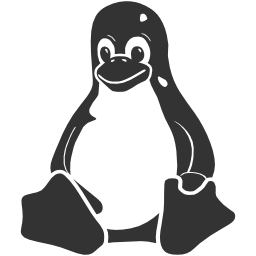 Here are some beginner commands that a new Linux user can use in his learning. In Linux file name and commands are case sensitive. There are “\” and “/” those are important to understand. “\” is used to escape characters while “/” is directory separator. “.” is used to represent current directory. if used in start of a file name it hides that file. “~” – User’s home directory. “[ ]” represent a range of values. “<" redirect a file as input to a program. ";" command separator. this operator separates multiple commands on a single line, can be executed on a single line. "&&" is a command separator but it executes second command if first command finished without errors. "&" executes a command in back end. Linux File system. Linux has a tree-structure like folders and files hierarchy. "/" is the root or base level directory. All other directories are child directories of this directory. “/bin” – binary programs are stored in this directory. “/home” – user’s personal home files and directories. “/root” – root is the admin or super user in a Linux operating system, this directory is home directory of root user. ls – command is used to list directory contents. ls -a or ls --all – this command is used to display all hidden contents of a directory or files starting with . We can see help for a particular command by typing -h or –help command. Manual pages are used to find more help about a command. cd – Change directory – This command is used to change current directory. file – tells about type of file file /bin/ls will output file type as execute able. cat – displays contents of a file. which – displays location of a command. free – displays amount of free and used memory in the system. cat /proc/cpuinfo – displays information about the CPU. grep – Search for a pattern in a file or program output. sort – sort a file or program output. su – allows to switch other user’s account such as switch to root user account. Tab is used to autocomplete a command.